You are here: Home > Cosmetic Eyelid Surgery > Blepharoplasty laser has arrived! After a minor delay, my laser has arrived and is now fully operational. 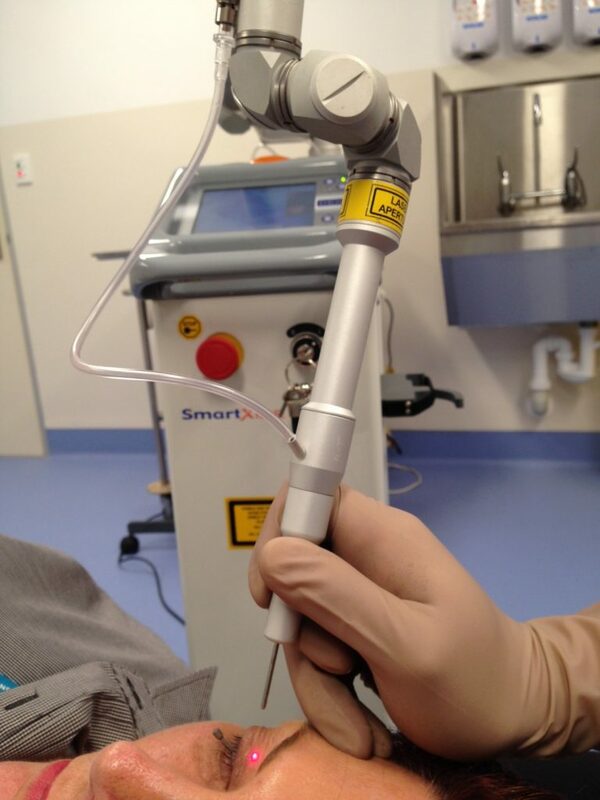 The CO2 laser is used for the incisions when doing upper and lower eyelid blepharoplasty. This seemingly futuristic device cuts the skin without contacting it. The incisions are precise with the additional benefit in that it cauterises as it cuts. The end result is less bruising and swelling for the patient, so recovery time is minimised. It has become the favoured technique of most blepharoplasty surgeons. With the arrival of this laser, I can now perform this surgery in my procedure room. Those patients that have been patiently waiting will be contacted by my rooms in the coming days to have your surgery scheduled. If you are considering eyelid surgery, you are welcome to come in for an assessment. This is interesting. Looking forward to have this kind of service. Hello Dr. i’ve had the eye﻿ lid srgeruy where they cut a lil bit of my both eye lids . then after weeks of srgeruy my right eye is completely different from my left eye and my right eye lid keeps getting down when i’m tired not as much as before the srgeruy . anyways Dr. what do u suggest to fo in cases like me my right eye looks like a triangle , it’s really hideous and obvious . Hi Barbara, my recommendation is for you to seek the opinion of an Oculoplastic Surgeon who can assess you and explain what can be done to restore a normal appearance to your eyelid.